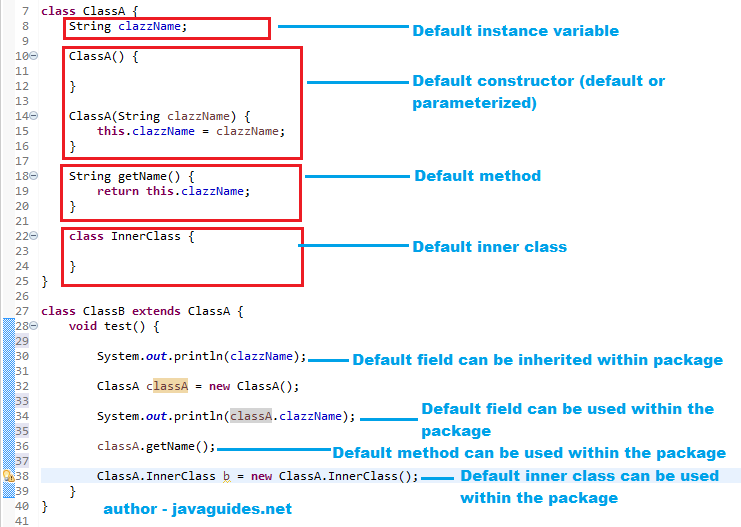 In this article, we will discuss Java access modifiers - public, private, protected & default, which are used to control the visibility of a field, method, class, and constructor. 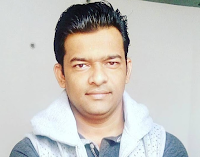 Access modifiers determine the level of visibility (and therefore access) for a Java entity (a class, method, or field). Access modifiers enable us to enforce effective encapsulation. If all member variables of a class can be accessed from anywhere, then there is no point in putting these variables in a class right and no purpose in encapsulating data and methods together in a class. A private class member cannot be accessed from outside the class; only members of the same class can access these private members. A class cannot be a private except inner classes because inner classes are nothing but again members of outer class. 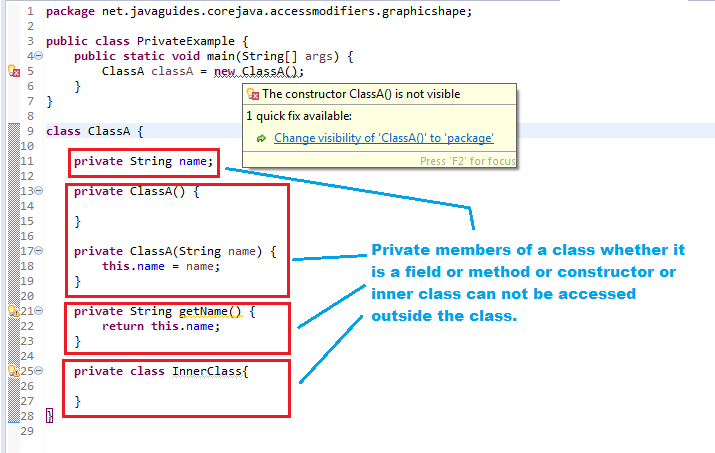 So members of a class (field, method, constructor and inner class) can be private but not the class itself. We can’t create subclasses to that class which has only private constructors. When we do not mention any access modifier, it is called default access modifier. The scope of this modifier is limited to the package only. This means that if we have a class with the default access modifier in a package, only those classes that are in this package can access this class. No other class outside this package can access this class. Similarly, if we have a default method or data member in a class, it would not be visible in the class of another package. 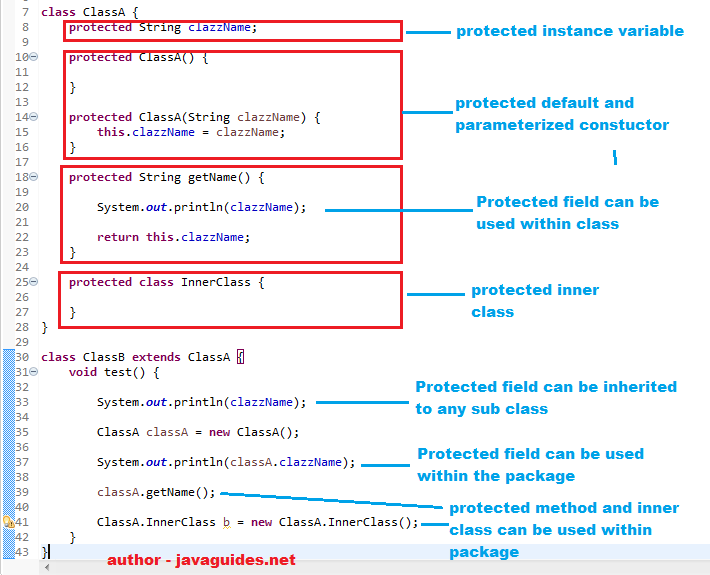 If a class or its members are declared as protected are only accessible by the classes of the same package and the subclasses present in any package. You can also say that the protected access modifier is similar to default access modifier with one exception that it has visibility in subclasses. Classes cannot be declared protected. This access modifier is generally used in a parent-child relationship. If a class or its members are declared as public, they can be accessed from any other class regardless of the package boundary. It is comparable to a public place in the real world, such as a company cafeteria that all employees can use irrespective of their department. InnerClass innerClass = new InnerClass(); //public Inner Class can be used anywhere. ClassA.InnerClass b = new ClassA.InnerClass(); //public Inner Class can be used anywhere.